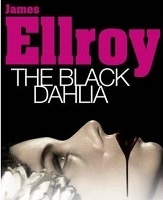 The Black Dahlia is crime fiction novel written by James Ellroy and represents first part of LA Quartet (The Big Nowhere, LA Confidential and White Jazz). The Black Dahlia was nickname given to Elizabeth Short, the waitress that was tortured and murdered in 1947, and her brutal and unsolved murder triggered many books and film adaptations. The story is presented trough policeman (Bucky Bleichert) perspective, as directly involved in murder case and it happens in early 1940s in LA full with dark atmosphere, racism and brutality. Bleichert becomes caught in a trap of case, entering in the psyche of the killer and with the time, he goes kind of insane. Knowing the true background of the story, the book is not light to read (especially torture details) and this is additionally influenced with Ellroys issues after the tragic murder of his own mother. With Ellroys unique, baroque style of writing, this book becomes pessimistic morbid work that floats between the reality and the desire to solve both murders: of his mother and innocent starlet Elizabeth Short.